For most people, getting a root canal is at the top of things to avoid at all costs. But in some cases, a root canal is the only option available to save a tooth from extraction. Although the procedure has a reputation for actually being worse than the problem it treats, root canals actually stop the pain and other symptoms from a severely decayed or damaged tooth. Dr. Stephen Harris, a dentist in Farmington, MI, offers root canal therapy and a range of dental services to prevent and treat tooth decay, gum disease and other oral health problems. One of the main signs that you may need root canal therapy is pain. The tooth pain can range from mild to severe, and may feel worse while biting or chewing. It may be consistent or feel worse and then alleviate at certain points in the day. Other symptoms may include hot and cold sensitivity to food or liquids, or gum swelling and tenderness. Symptoms like pain, swollen gums, or signs of infection should be evaluated by a dentist. If an X-ray and dental exam determines that a root canal is necessary, the procedure is not as painful and traumatic as many people believe. First, your dentist will numb the area with anesthesia to minimize pressure and discomfort. 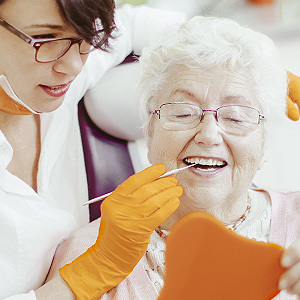 Once the tooth has been numbed, the dentist will perform a pulpectomy, which consists of drilling a small hole and removing the nerve root and cleaning out the tooth to remove all damaged tissue and bacteria. The last step in the procedure is to seal the tooth. Despite its reputation, root canals are very similar to dental fillings in terms of discomfort. If you are experiencing pain or signs of an infection or tooth decay, contact our office by calling (248) 478-4755 to schedule an appointment with Dr. Harris today.